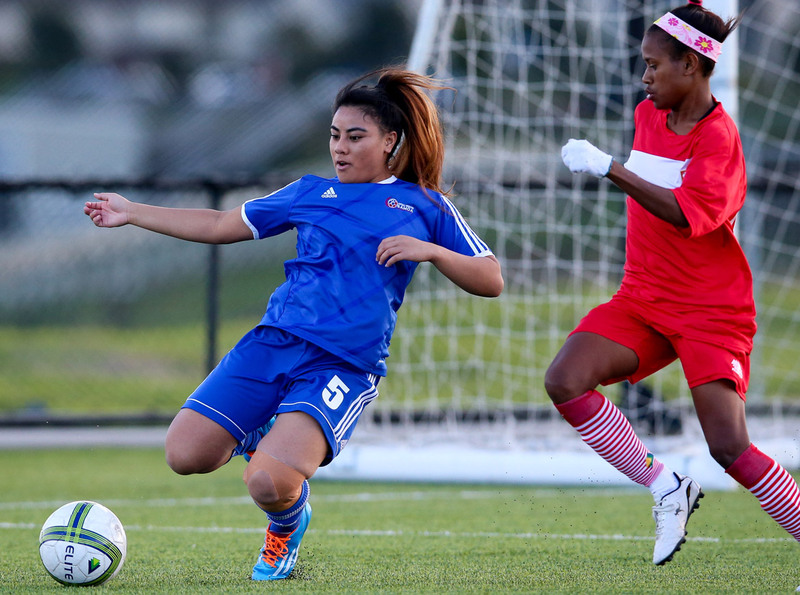 Samoa have stepped up their preparations for next month’s OFC Women’s Nations Cup, with an 18-strong training squad travelling to Fiji for a one week camp. Samoa will also play two friendly matches against the OFC Women’s Nation Cup Qualifier winners on Monday and Thursday at the Fiji FA Academy in Ba. Leading the training camp is newly appointed coach Nicola Demaine, former OFC Women’s Football Development Officer. “We will be in Fiji for a week and will be playing with the Fiji national women’s team, which is part of a strategy to see where are at, and use it as a marker to know what we need to do to between now and the Nations Cup to make sure we are ready for the first match against PNG,” Demaine said. Samoa have been drawn in Group A alongside hosts New Caledonia, former runners-up Papua New Guinea and Tahiti. It’s a group that Demaine knows will be difficult, but sees as a good challenge for her new charges. “It’s a tough group where they’ve got the gold medalists from the Pacific Games PNG, then there are the runner ups the New Caledonians so those will be tough, experienced sides. Papua New Guinea, they were in the U-20 World Cup in 2016 too,” she said. “Tahiti, I believe they will be a useful side. They do well in Tahiti with their football so they should be well-organised and it’s going to be tough but I believe I have good knowledge of these sides and I think we can find a way to give them a little bit of a surprise and take some points out of them. The squad which has been assembled is a mix of domestic and overseas based players, with the final squad set to be announced following this week’s training camp.